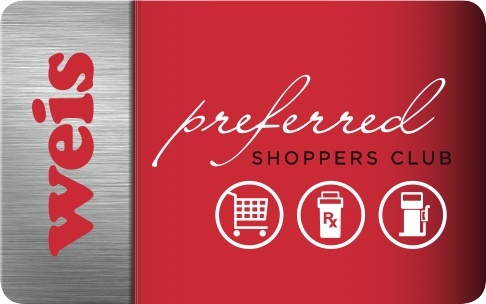 You probably already know your Weis Preferred Shoppers Club Card offers you savings on thousands of items every day. A MyWeis online account provides you with a personalized web experience. What's that? It's a way for you to stay in touch and be alerted to any product recalls, receive special emails and check your rewards points. Sign up for them both right here and experience more of what Weis has to offer! I already have a Weis Club Card! If you already have a Weis Club Card, you can use that number to automatically view your information. Simply create an online MyWeis Account and enter your Club Card number to sync your data! To update the information, edit your information on the profile page of your My Weis Account. If you do not have a My Weis account, please call our customer service team. I want to get a Weis Club Card! If you don't already have a Preferred Shoppers Club Card, then you can signup for one and have it sent to your house.